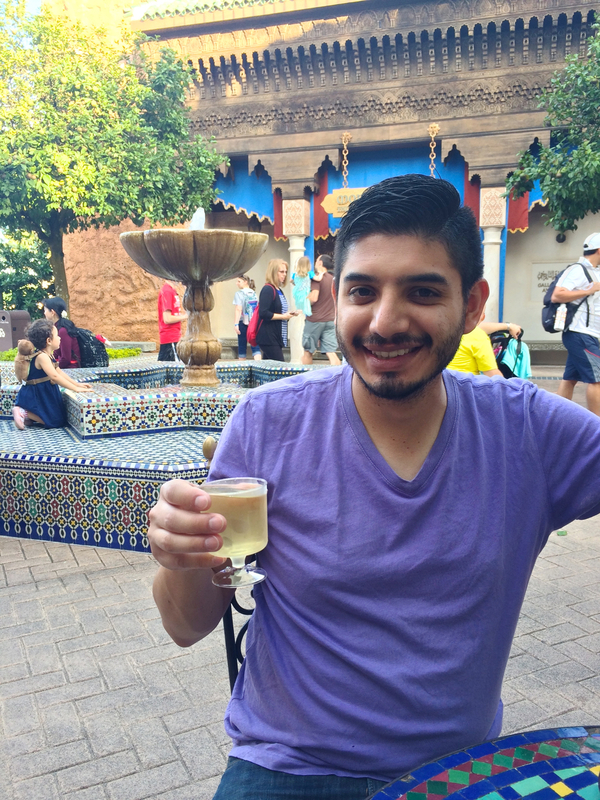 On our first trip to Disney World together this past November, Greg and I decided we wanted to try out this thing I had read about online (via easyWDW): Drink Around the World Showcase at Epcot. 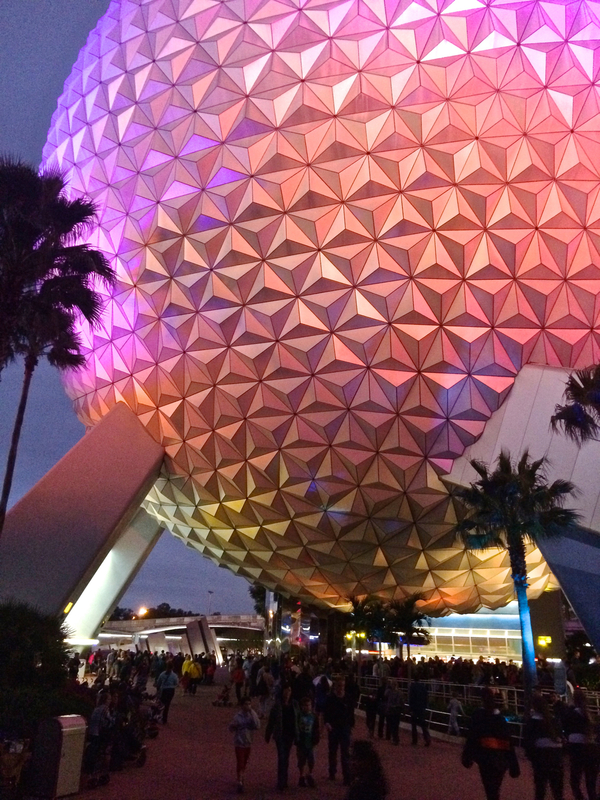 So for those of you who don't know (I know a lot of Californians haven't ventured out to Disneyland's much bigger east coast counterpart), Disney World has a theme park called Epcot that's really nothing like the Disneyland or California Adventure parks. One half of it is called "Future World" and is broken up into themed pavilions (Imagination, The Land, The Seas, etc.) 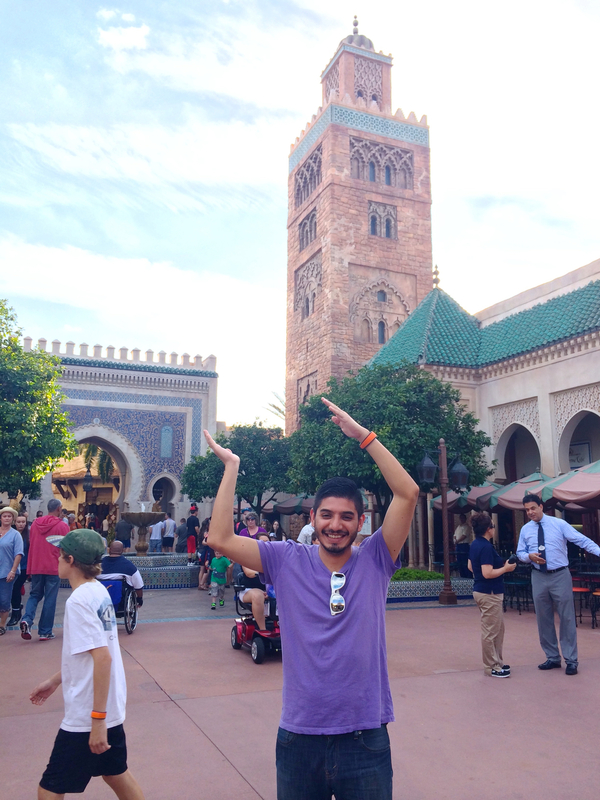 and the other half, "World Showcase," features 11 country pavilions. Each of the countries has its own distinct architecture, restaurants, shops, and spots to grab drinks. Even all of the staff members are natives of each country. 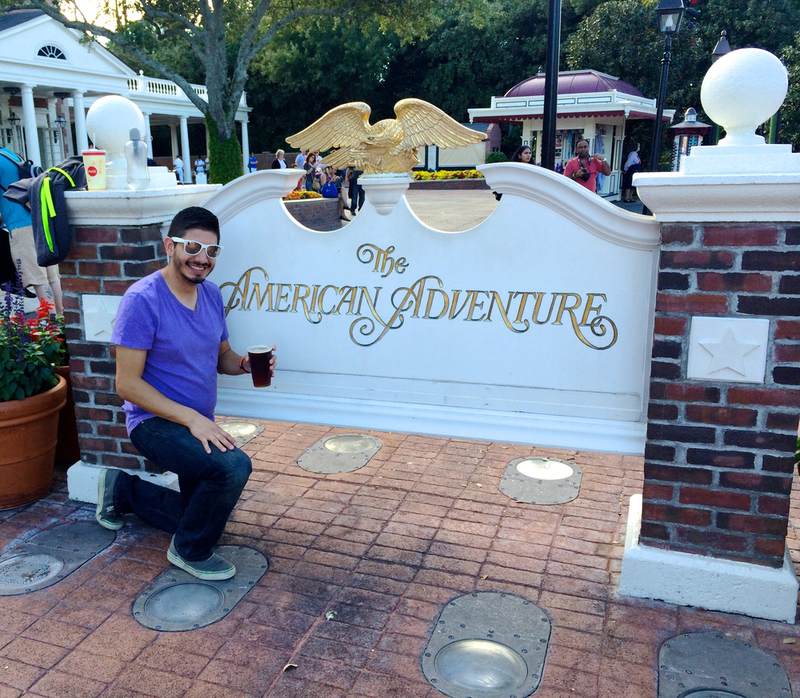 Before our trip, I hadn't really had much to drink at Disney World. Actually, I had only had one drink: a Lapu Lapu on a one night stay at the Polynesian before a business trip at my old 9-5. 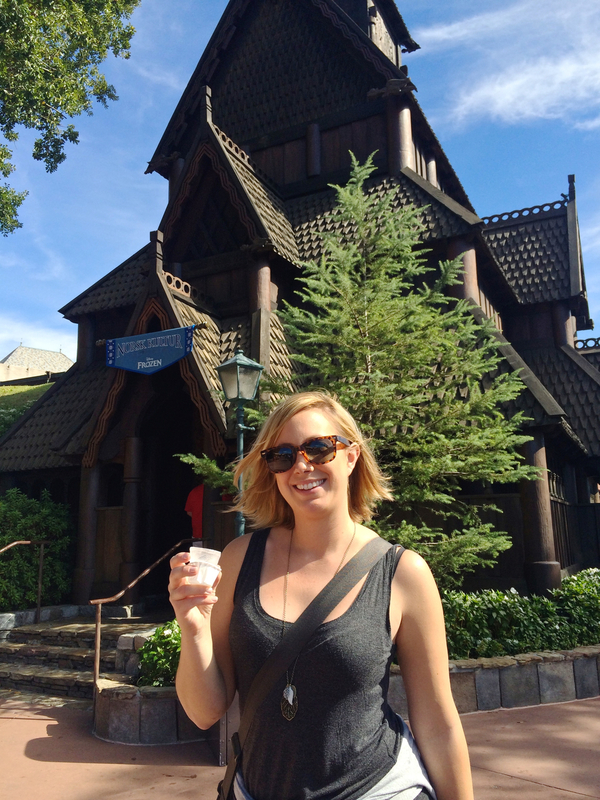 Oh, and a Dole Whip with rum at the Flower & Garden Festival that same visit. Two drinks. Either way, I was excited to explore something new. And, really, everything was new to Greg. When we came across this "drinking around the world" idea online, we thought - what more fun than to sample drinks from 11 countries around the world? 1. There was no way we could each have 11 drinks and still enjoy ourselves/keep it together. 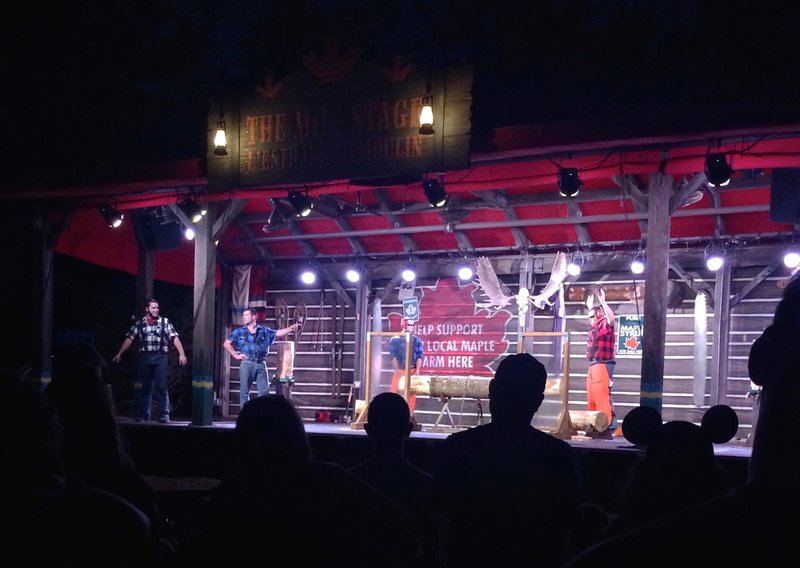 I had seen drunken bachelorette parties make their way through World Showcase in the past and I was not about to cause a scene. 2. We also didn't really want to pony up the money for 22 drinks total. That's a lot of money for an afternoon on top of an already pricey vacation. 3. As a result of 1&2 we would be splitting drinks as much as possible. This was going to be more about tasting different things from around the world than anything else. 4. Along the way we definitely wanted to sample some of the food. At least things that seemed unique enough to try. 5. Because we had read about the great (but small & often crowded) tequila bar in Mexico and because that country also had the only operating ride at the time (the one in Norway was under renovation), we knew we wanted to start there. 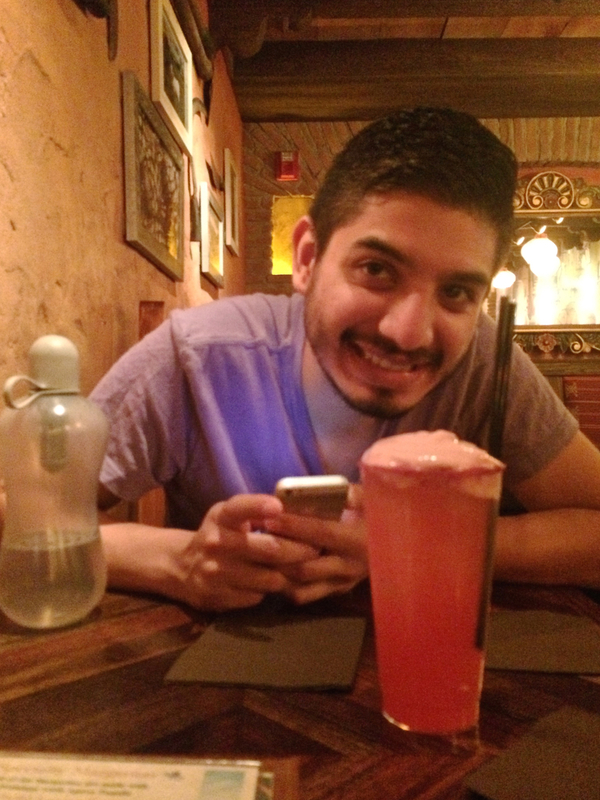 La Cava del Tequila was one of the few spots where we got to actually sit down and enjoy our drink. 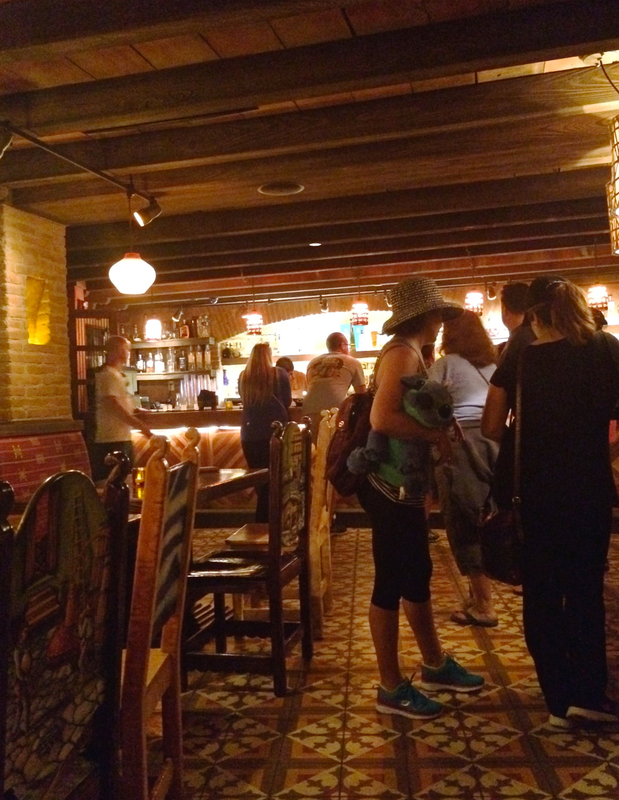 It's a small tequila bar tucked away on the inside of the Mexico pavilion. There were SO many great looking options on the menu but we knew it was in our best interest to only pick one. The Blood Orange Margarita we ordered was: "Exotico 100% agave premium silver Tequila, orange liqueur, and sweet-tart mix of blood orange juice, topped with wild berry foam, served on the rocks with a Tajin chili powder rim." We thoroughly enjoyed it and really wish we could have sampled more! Next time we go back we might try a tasting flight here. Snacks: None. We live in LA so we get great Mexican food all the time. None of the snacks seemed more unique than what we've got back home. We had been forewarned that Carlsberg beer is not actually a Norwegian beer and our goal on this journey around the world was to go as authentic as possible. We asked at the drink cart if there was anything really native to Norway and we found out that the Linie Aquavit (kind of like Vodka) was. Since we were splitting drinks, we were each planning to have a sip out of this ice shot glass. We were also taking pictures before having each drink. As a result, our drink managed to "burn" its way through the ice shot glass in the process so some of it was lost on the ground. Oh well, we weren't about to buy another and we knew we still had 9 more drinks to go. Word to the wise: drink this one fast! Snacks: Lefse ("Potato Flatbread rolled with a Sweet Cinnamon Butter"). I'm part Norwegian so I like sampling food from this country. Last time I visited, I ordered the School Bread (a fan favorite) but it wasn't my sort of thing. The Lefse was better but not really a snack I would seek out. We figured that the Plum Wine sounded unique enough that it was worth a try. Some of the other drinks seemed just a little too American based on the alcohols they featured so we thought this choice would be more authentic. Greg was also not as interested in the Tsingtao beer since he had a plenty of it on a trip he took to China in college. Overall, the Plum Wine had a distinct flavor and was pretty good from what I remember. Snacks: None. We decided to hold out for some other options we had in mind. If I had ordered anything, it would have been a pork bun. Alright, so what happened here? Well, when we first got to Germany, we obviously had to get a German beer. I've been to Germany three times in the past and Greg has gone once so we definitely wanted to get the standard fare. We knew the Oktoberfest was a solid choice so we went with that one. Next time, I might try a non-beer drink instead. Now, as we were perusing the shops and all, I remembered that I had seen some people doing something at some of the countries in the past: a "Wine Walk." 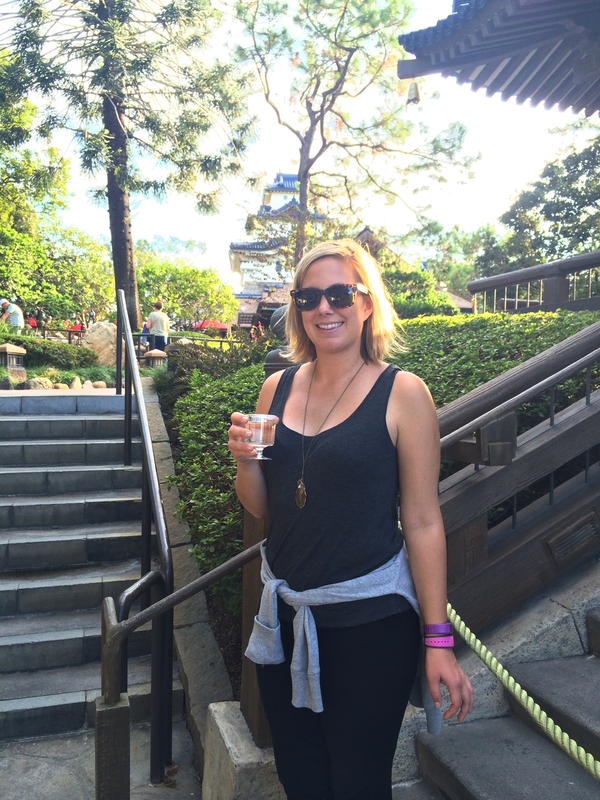 I decided at this point that since we were drinking our way around the world, why not include the Wine Walk ($20 for 6 wine samplings) in our journey? The mini passport that comes with it has you make stops in Germany, Italy, and France. The wines we got in Germany were nice and fairly sweet. That was the first time I had tried German wine and I was happy with it. Snacks: Bratwurst. As I mentioned, I've spent a fair share of time in Germany. During those stays, I really fell in love with Germany food and I crave it all the time. We weren't going to stop at this pavilion without getting a snack. And if we hadn't planned for a dinner reservation in Canada, we would have eaten at Biergarten instead. It has a really authentic buffet that I thoroughly enjoyed with a friend of mine from Germany back in 2006. Since we were doing the "Wine Walk," we already had two wine samples lined up as our drink option in Italy. Again, the wines were good. But, in hindsight, I wish we hadn't gone this route. 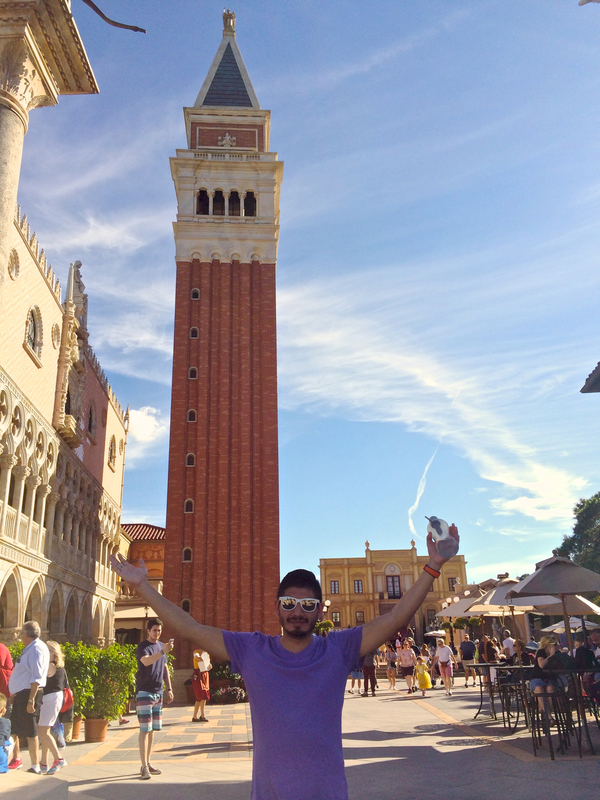 I would have rather not had predetermined drinks for Italy and France. It might have been nice to sample something a little more "out there" from each of those countries. Snacks: None. I tried some quick service pasta here during the Flower & Garden Festival and was a little disappointed so I figured it would be better to keep trekking along. Well, over in the good ol' US of A, next to a Bud Light, Sutter Home Wine, or a Bourbon-y Lemonade, Sam Adams was really our best option. Since it was getting close to the holidays, the seasonal beer was dark. Great for Greg, less great for me. Snacks: None. If you fill your stomach with American fare on a journey around the world, you're just not doing it right. This one was kind of a no brainer. And since we don't know sake too well, we couldn't really tell you if this one was "good." But it's typical for Japan (and different from most of the other drinks we had) so this felt authentic at least. Snacks: Edamame. Pretty standard but we were starting to get a little hungry at this point. I don't really remember anything distinct about this one unfortunately. Greg remembers it being fairly sweet. I think it was one of the only really "Moroccan" drinks that we could have ordered. Snacks: Tangierine Couscous Salad. Hunger pangs were starting to hit so we decided to sample some of the food here. The salad was pretty good. We've had a decent amount of middle eastern food in California so this was nice and a little different than the fare we've had in LA. Again, stuck to the (boring) Wine Walk list. I remember expecting to be blown away by the French wines but they seemed pretty standard to me. It was also getting a little late in the day and we were becoming less discerning about our drinks. Snacks: None. At this point, we decided to slow down on food since we had a dinner reservation in Canada (two stops away). If we had gotten something, we would have tried one of the pastries from the bakery. We went into the Rose & Crown Pub to order from the bar in there for this one. I had never wandered inside so it was nice to explore a new place! This was one of the few indoor spots we went to for drinks so it was really great to be in a new environment rather than just standing outdoors with our beverages. We ended up ordering Boddingtons because I remember having it (and liking it) on my trip I took to England in 2008. There were lots of other interesting mixes to try though. Next time! Snacks: None. We were about to have dinner in Canada. We ended up ordering the Moosehead beer because the name seemed fitting for Canada. I seem to remember this last drink being too bitter for me to really enjoy. But, we made it! 11 countries and 11 drinks down and we were still in good form! 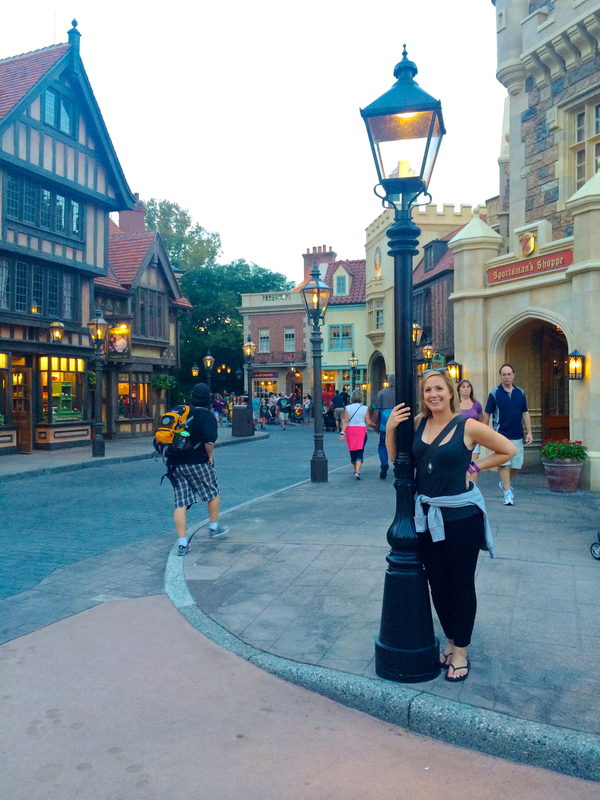 Snacks: Dinner at Le Cellier Steakhouse (AKA the biggest mistake we made all day). After all of the snacking and drinking around the world, we weren't really hungry enough or in the mood to sit down for a big meal. I had made this reservation months in advance and figured it would be the perfect end to our international journey. 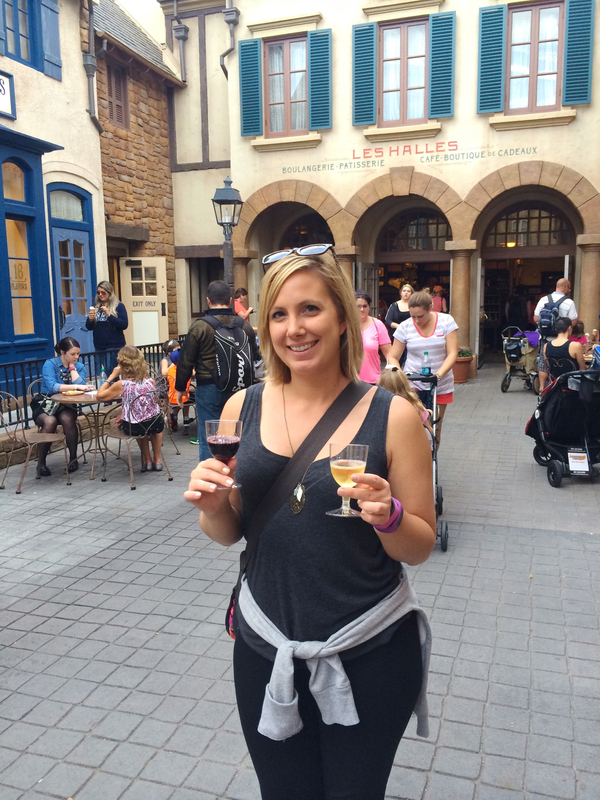 I had heard so many great things about Le Cellier so my expectations were really high and I didn't want to miss out! Somehow, we managed to find room in our stomachs to try out some of the best dishes on the menu; however, overall, we just weren't really impressed! It was overcrowded, our service was lackluster, and some of the food was way too salty (and don't mind a little salt). Really, everything was just eh. And the price! It came out to $118 for the two of us - more than all of our drinks and snacks from the world tour! Lesson learned: never ever ever book a restaurant meal at the end of this 11-country trek. In the end, we really had fun doing this! As I mentioned above, I think we might switch a few things up the next time we drink around the world, but we will definitely be doing round 2 on our next visit. 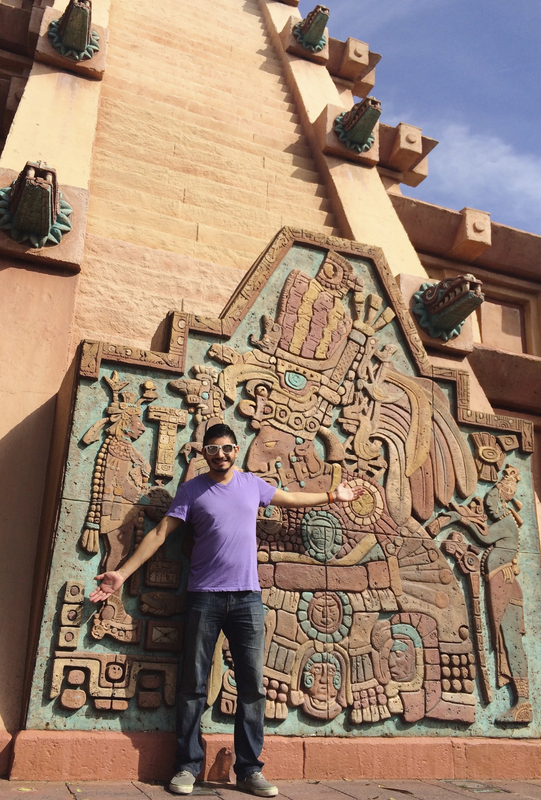 Since I know Disney World kind of like the back of my hand, this was really a brand new experience for me and it made traveling around to all of the countries more fun. One other bit of advice for anyone looking to try this: remember this is a marathon, not a sprint. 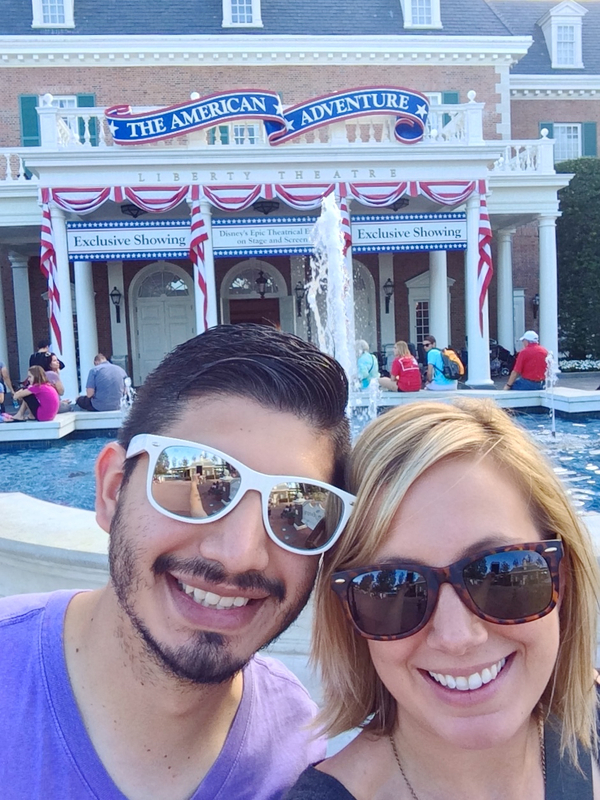 The reason why we enjoyed our experience so much was because we really spent time in each country exploring around and checking out all of the shops. I don't think this would be as fun if you literally went from one beer stand to the next without enjoying all that World Showcase has to offer! As for the total cost for us to drink our way around the world (splitting drinks in each country), it came out to approximately $95. Worth it? We'd say yes! Has anyone else made this trek around the world? We'd love to hear other stories and experiences!